And yet, as so many afflicted with the Netflix virus, I sat transfixed as the Duffer Brothers unraveled their nostalgia-horror story, Stranger Things. How clever! How Weird! “It’s like, if Spielberg [80’s Spielberg] gave David Lynch [any-era Lynch] a script and told him to go wild, but the whole thing still had to make sense, it would be Stranger Things!” I loudly shouted at baristas and joggers and other unfortunates in my neighborhood. Being late to the game, as I tend to be, I’m sure my already unasked for insights were even less interesting to people who had watched, talked about and moved on to the next thing weeks ago. And now, what would otherwise have been a minor, behavioral aberration is starting to feel like a pattern. First I watched Stranger Things, then I read Slade House by David Mitchell. Before you judge me, I promise, I didn’t know it was a horror novel before I read it. Sure the summary on the back jacket says things like, “A stranger will greet you by name and invite you inside,” or, “For those who find out, it’s already too late…”, but that could mean a lot of different things. It could be a sci-fi story about a house that transports you to another dimension, or a sword-and-sorcery tale of beleaguered knights becoming entrapped by an evil magician, or a whole host of others things it is decidedly not. For, as much as it pains me to admit to liking this type of thing, Slade House is a horror story. And a damn good one. As far as I can tell, David Mitchell is a master of character writing. The quick and frequent changes in tone and voice he employs in Cloud Atlas make it a bewildering and delightful novel. The ability to embody so many different bodies, and ones that are fully realized, with all their depths and flaws and desires, is extremely difficult, especially when done in the space of a single novel. 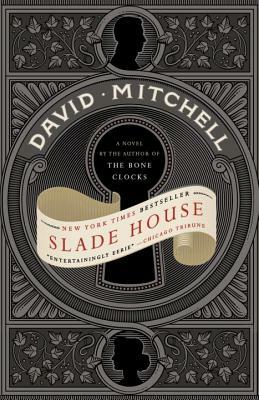 In Slade House, Mitchell pulls an even niftier trick and does the same thing in an even tighter corner, that of a novella. In fewer words, he is able to put us inside the heads of his menagerie of characters: a boy on the autism spectrum, an unsavory policeman, an awkward fresher and quite a few others. Each are real, in that they have histories from before the story began; they have motivations and behaviors which fit their own internal logic and never do their voices overlap or become confused; each are singular and clear. This is of course not even to mention the story’s baddies, a truly horrifying pair of siblings Mitchell must have borrowed from a Hannibal Lecter fever dream. David Mitchell is a wonderful storyteller, and in Slade House he has taken the trappings of a stale genre and baked a delicious bread pudding; something reminiscent of its former self but chemically transformed into a sweeter (or more savory, if that’s your thing) version, better in smaller, infrequent servings. 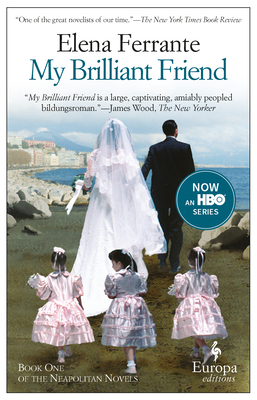 It was inevitable, I suppose, that Elena Ferrante's true identity -- whatever that is -- would one day be uncovered. One would hope, though, that it would've been on her terms, as one's true identity -- again, whatever that is -- is rarely something that somebody owes another. It was also inevitable that such a thing would cause conversation. Happily, I think, most people seem less interested in the Who behind the author than they are the Why behind the exposure. Among our favorite contributions to the chattering storm comes via a friend and neighbor in Oakland, Lili Loofbourow. 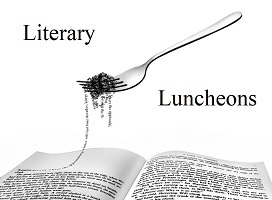 We highly recommend you spend some time with her piece, "The outing of Elena Ferrante and the power of naming." It is a doozy. When Brad is excited about a book, you better believe he's going to tell you about it. In this installment of "A Bookseller at Home," he features Nathalie Leger's Suite for Barbara Loden. 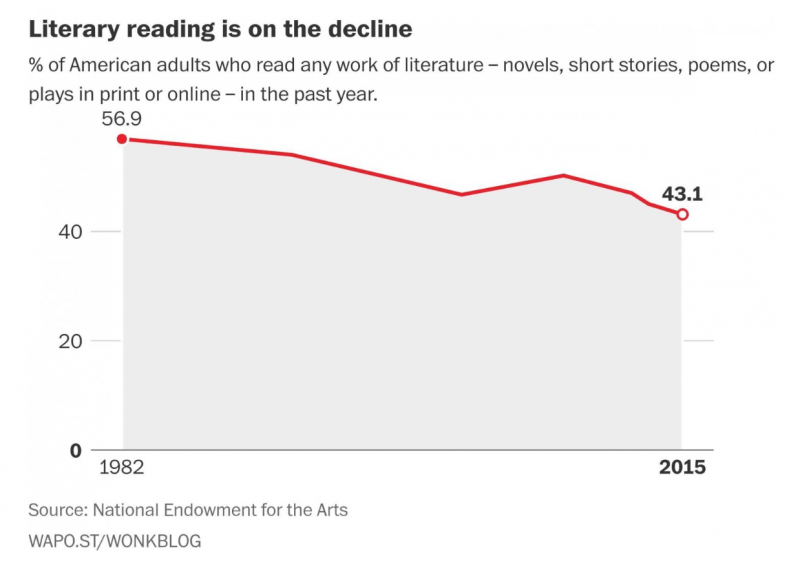 The Washington Post recently reported on a National Endowment for the Arts study that found American adults aren't reading (novels, short stories, poetry or plays) like they used to. Suffice it to say, that's kind of a bummer. What can we do about this? You're reading this, so presumably you're in the empathetic and long-living minority, so this one might be moot: keep reading! Give books as gifts! And not just any old book either. The books you give are a reflection not simply of what you think of somebody else (about their tastes, interests, etc. ), but of how you want them to think of you. 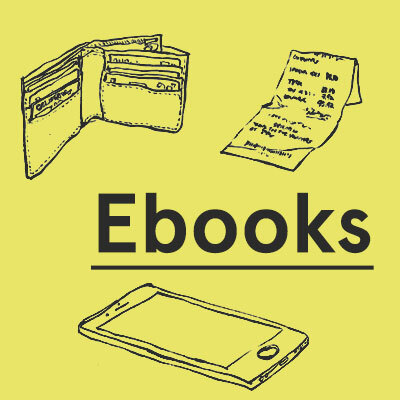 Book-giving is serious business, which is why we're trained professionals who can help. Talk to others about what you're reading! Look, everybody is watching Stranger Things, okay? That conversation is going going to peeter out before the steam on your coffee. The chats about the emotional depths of Laia Jufresa's storytelling in Umami or the ambitious density of Mauro Javier Cardenas' The Revolutionaries Try Again . . . those are going to get you very caffeinated. Tell us what you think! Didn't like a book, let us know and our suggestion algorithm (aka, listening skills + knowledge about books) will adapt accordingly. 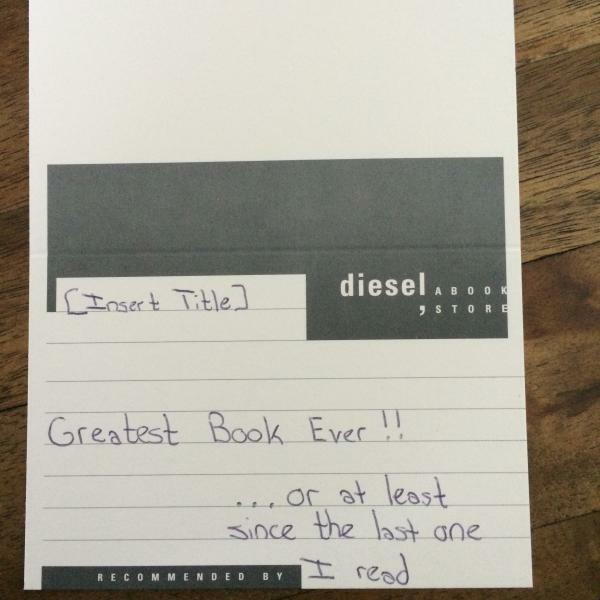 Loved a book, we definitely want to hear that. Get involved! Attending author readings/conversations is a great reminder that no matter your tastes, there's a community of people who share it (in all sorts of wild, weird, wonderful ways). Aaron is one of our brand-new booksellers in Oakland, and he has a thing or two -- many more than that, even -- about international literature. When he's not at the store, you might find him in conversation with the likes of Jennifer Makumbi or Carmen Boullosa, or writing insightful commentary and reviews for OkayAfrica on books like Hisham Matar's The Return. "Indeed, his novels are so close to his own life that at one point in The Return—as the two are boarding a plane to Libya—his mother asks a “mischievous question,” as he calls it: “Who’s returning? Suleiman el-Dewani or Nuri el-Alfi?” These are the names of the protagonists of his two novels, fictional versions of Matar himself that—in his mother’s very serious joke—were suddenly brought to life. 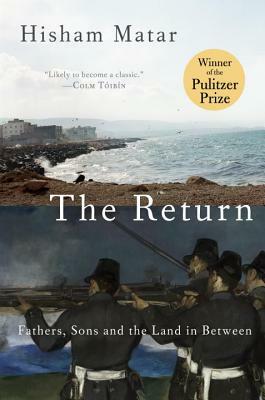 After a life spent dreaming about return, and in his fiction, trying to imagine the truth of his lost father, The Return is Hisham Matar coming face to face with reality—or trying to—but finding it to be as ambiguous and depthless as any novel, an ocean without a floor." Read more about Meet Aaron! Mr. John Evans himself took to the NPR airwaves with some summer reading guidance! Read more about Summer's But Only Begun! Mondays are one of Brad's days off, but that won't stop him from bookselling! Today's installment of "A Bookseller at Home" features Joy Williams' short story collection, Ninety-Nine Stories of God. An added bonus this week: Joy Williams herself will be reading at the store in Oakland on Tuesday, July 19th at 7pm! Suffice it to say, I think, we're pretty excited! Brad's a "Bookseller At Home" again! In this installment he's talking about Claire-Louise Bennett's debut novel, Pond. He's been dying to talk to people about this one! We are quite fond of Amy Gerstler's ode to the reader and reading, and think it will accompany you well during your summer reading. 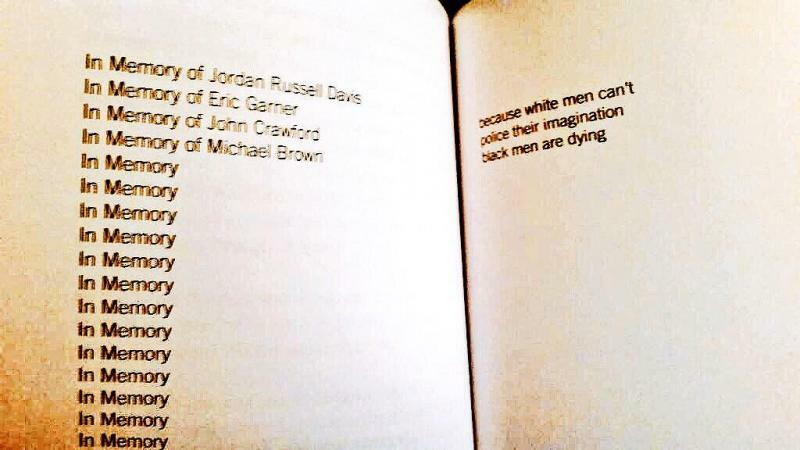 These entries in Claudia Rankine's National Book Award-winning collection, Citizen: An American Lyric, used to be blank. But now we know the names, along with so many others, and we must say them. We must figure out ways (because there will be many) not simply to say -- but demand -- that black lives matter.